Nic Ruben is a Brazilian jiu jitsu black belt under Eduardo “Teta” Rios, being one of the most accomplished grappling competitors in the European continent. 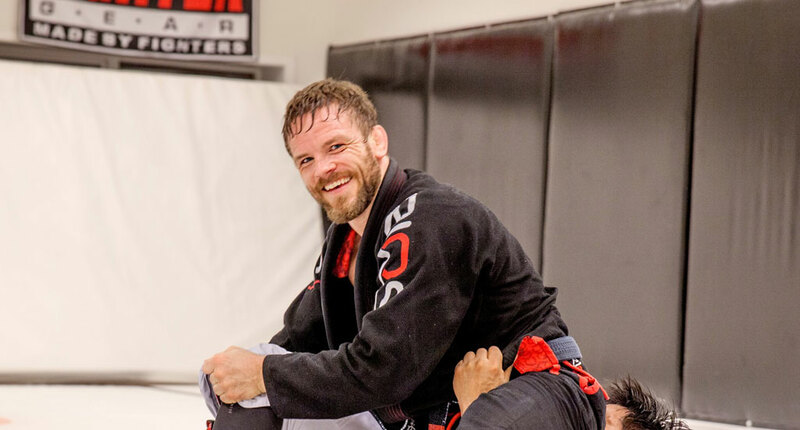 Having earned medals at important tournaments such as the World No-Gi Championship, European Open or the Pan American No-Gi Championship, Nic Ruben flew the Frontline Academy flag high (a team he co-founded) while raising awareness to the Norwegian jiu jitsu scene. Favorite Position/Technique: Chokes and Armbars from the Back Mount. Nic Ruben was born on the 22nd of June, 1978 in Holmestrand, Norway. A small town outside of Oslo. Nic’s door to the world of martial arts was opened at the age of 13 through taekwondo a contact sport Ruben followed for many years, training and competing regularly, earning his first martial arts black belt. Throughout his TKD journey, Nic realised he was training a sport, not a martial art and decided to pick up on a more complete activity, namely kickboxing. Nic Ruben eventually decided to leave taekwondo behind due to a torn hamstring, an injury that became chronic, haunting Nic for 15 years. Shortly after his 21st birthday Nic moved to Australia where he ended up signing on to Brazilian jiu jitsu classes, a sport/martial art he came to admire while watching the Ultimate Fighting Championship (UFC). 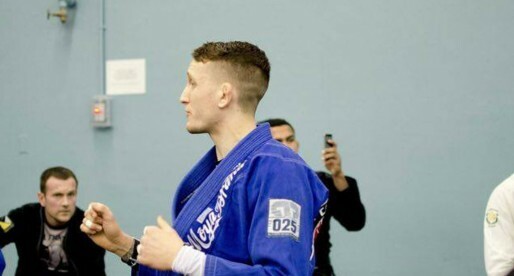 Vincent Perry’s academy in Australia’s Gold Coast was Nic Ruben’s first jiu jitsu home. Finding jiu jitsu to be an excellent complement to his striking abilities, Nic became highly invested in grappling. Two years into his training (2001) Nic started traveling to Los Angeles – USA, staying there from 3 to 6 months at a time, training under Rickson Gracie. It would be the legendary Gracie who graced the Norwegian with his blue belt. After finishing his studies in Australia, Ruben returned to Norway, continuing his jiu jitsu training at a local grappling club. Marcelo “Yogui” Santiago would award Nic his purple belt in 2005, after the Brazilian spent some time in the Scandinavian country. 2005 was also the year in which Nic Ruben returned to Los Angeles, training for many weeks at the 5 Star Martial Arts gym with Shawn Williams. Nic loved the experience and the two became close friends, with the Scandinavian paying many other visits to the Renzo Gracie black belt from their on. Around 2005/2006 Eduardo Rios, the famous “Teta”, started making regular trips to Norway to visit his girlfriend. He soon found himself teaching jiu jitsu and shortly after opened the Frontline Academy together with Nic Ruben and two other partners. Eduardo Rios awarded both Nic’s brown belt (2006) and black belt (March 2009).